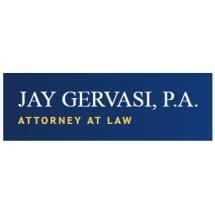 At the Greensboro law firm of Jay Gervasi, P.A., we strive to help clients resolve their workers' compensation legal matters and protect themselves and their families while they work toward an efficient recovery. Workers CompensationWorkers Compensation ProcessWorkers Compensation: Injuries & IssuesDo I Need A Workers Comp Lawyer?How do I Choose a Work Comp Lawyer?Should I Keep My Workers Comp Lawyer? At the Greensboro law firm of Jay Gervasi, P.A., we strive to help clients resolve their workers' compensation legal matters and protect themselves and their families while they work toward an efficient recovery. Do I Need A Workers Comp Lawyer? How do I Choose a Work Comp Lawyer? Should I Keep My Workers Comp Lawyer? Located in Greensboro, North Carolina, Jay Gervasi, P.A., serves clients throughout the state and particularly in the communities of Greensboro, Winston-Salem, High Point, Reidsville, Asheboro, Thomasville, Lexington, Burlington and Eden and elsewhere in Guilford County, Forsyth County, Davidson County, Randolph, Chatham County, Alamance County, Caswell County, Rockingham County, Stokes County, Surrey County, Montgomery County and Davidson County.